Data alone cannot take your multi-channel marketing initiatives to the desired results– you need data that is not only driven by innovative practices but also is authorized and secured. Businesses are discerning the importance of licensed data and long-termed agreements of availing or reselling the marketing databases more than ever. Thomson Data, the trusted data-partner of the world’s leading Value-Added Resellers (VARs), brings data licensing services for the marketers. We offer licensed and secured databases from our data repository, and you become a licensee of the same for a specific set of time. Get the license to marketing data from a vast repository of contact database. Being the licensee of the marketing data, avail authority to unlimited data usability. Obtain contact lists that are double-checked, verified, and updated within every 60 days. Benefit from fully customized and segmented lists that boost sales and maximize revenue. Reach customers with highly-targeted custom lists built by using industry-specific sources. Data gathered or availed from affiliated sources is not secured and is time-consuming. We have in-house teams to license your data that saves your time and efforts of relying on various other affiliated channels. The data available is not sufficient, and the usability is limited. This in-turn disrupts the cost management of the businesses. We offer licensed and secured data with unlimited usability from our data-banks enriched with more than 50 million contact records of businesses and marketers across the globe. Data decays apace. This makes it more difficult to trust the credibility of the marketing database. Gathered from sources such as business directories, trade shows, company newsletters, and government records; our contact lists are updated every two months. It’s difficult to find data vendors or data partners that offer flexibility in giving updates of the data. We give flexibility of receiving updates – weekly, monthly, quarterly or annually to the data licensees. Unsecured marketing data hampers the outcomes of marketing campaigns which also harms the conversion rates and ROI of a business. Our secure data cuts down the costs that you spend on buying and using data with limited usability, every time. With a dexterous team of data-experts and market-analysts, Thomson Data is known for providing database licensing services that have helped businesses and marketers improve their revenue across the globe. We have a huge data repository of over 50 million verified and updated contact details of the businesses and business professionals from an array of industries. At every stage of data compiling to data segmenting and licensing; we make sure we go in compliance with the GDPR, CAN-SPAM laws, and other related regulations. Also, we facilitate marketers with the luxury of the customized database as per the selects– SIC/NAICS codes, geographical locations, company details, and more. 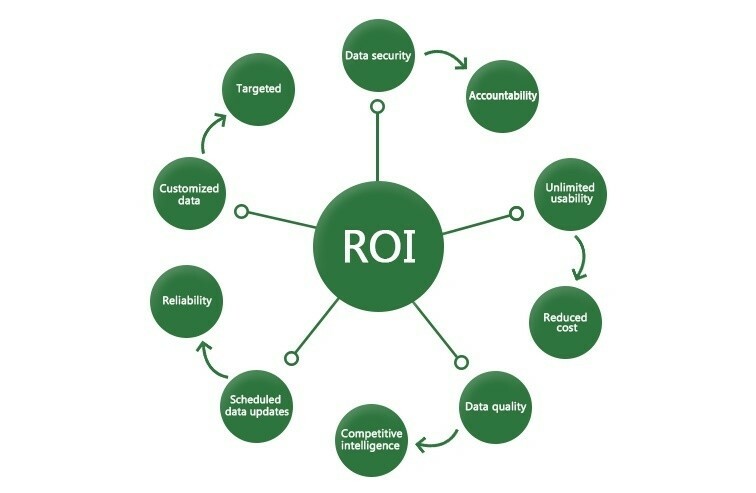 So, own the license to quality data now and give your marketing efforts the power of data intelligence!